Speaking of bones, here’s a great smoking narrative with a goat leg, along with a wonderful bone photo at the end. I must try this over the summer. Considering goat farms dot the landscape in Texas, I shouldn’t have a problem. With Memorial Day giving me an extra day to finish planting our garden and making the last preparations for summer, I also had time to fire up the smoker and try smoking not only a new cut of meat, but also a new beast altogether. 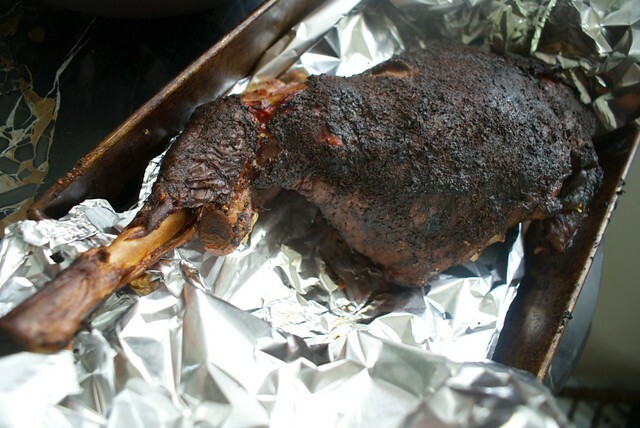 On the last Monday in May, we ate a leg of beast – to be more specific, a leg of goat. Well, not all of it. Previous Previous post: When Surrounded By Iberians, Cook Like An Iberian! Next Next post: Know Thy Eating.